The Eastern suburbs of Melbourne have joined the fight to increase rail services to their area. Councils across the East have joined forces in the hope of ultimately bringing a much-needed rail connection to the public transport blackspot of Doncaster. As Melbourne’s population continues to grow, the Eastern suburbs are a popular area for not only internationals immigrating to Australia, but also for interstate movers. Doncaster’s demand for apartments has exploded in modern times, and to go with that, proper public transport is needed to take the stress off the already-clogged roads. However, in a shock to campaigners across the area, a rapid bus system is being looked at as a possible alternative to building the rail. With it needing substantially less money to build ($500 million versus $3-4 billion), the bus would take passengers directly from Doncaster to Southern Cross Station, with the timetable having quick intervals and many services available in peak hour times. People and Councillors across Doncaster and the surrounding areas have campaigned for rail for over 40 years. Each subsequent State and Federal government have put it on the backburner, however, with a consequence that stations close to the area, such as Box Hill are becoming more and more overcrowded. The bus system to be implemented would be a direct service running straight down Hoddle Street. It is stated that the trip from Doncaster to Southern Cross direct will take about 30 minutes. The buses would be larger than usual to accommodate a high number of passengers and commuters. The current buses in Melbourne, however, have a bad reputation for being frequently late, unsafe, and confusing. The State Government are investing a large amount of money trying to fix this and to attract commuters back to buses, but unfortunately a lot of the damage has already been done. This bus system, if implemented, would have to be timely, easy to use and above all, reliable. 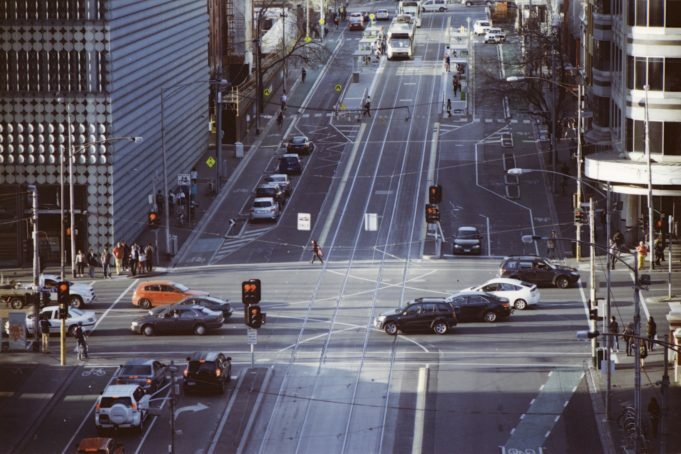 Melbourne’s Southern, South-Eastern, Northern, and North-Eastern suburbs have all received extensive funding and projects, such as heavy concentration on level crossing removals and rebuilding of stations. However the East has been largely ignored, with only Ringwood receiving an upgrade to go along with the new update of Eastland Shopping Centre. Removal of more level crossings, such as Croydon, and rail duplication across Melbourne’s East will ease the gridlock of traffic around the outer East, and speed trains up, allowing commuters to get to their destination faster than ever before. With Ringwood East being voted the in the top 10 of Most Liveable Greater Melbourne suburbs, the East’s growth has to be met with proper infrastructure funding. However connection to Doncaster is still an issue. While there are connecting bus services to train stations, with a rapid bus system likely to be implemented at this point instead of rail, campaigners and the community, who have been passionate about bringing rail to the area, will be disheartened to learn that this decision will almost certainly put it off indefinitely. Many jobs in construction will be available if this project is to go ahead, as not only will the bus connection need to be made but there may be apartments built above the Chandler Highway to help pay for the construction.